Research scientists at Duke University have recently unveiled findings showing that obesity can dramatically increase the chances of knee arthritis. Obese patients have been shown in studies to have about twice as much of a chance of developing knee arthritis as patients who are not overweight. The American College of Rheumatology tells patients who are obese and patients who are overweight that a weight loss program might help with pain management of arthritis. 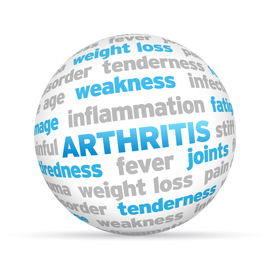 Los Angeles arthritis patients who lose even moderate amounts of weight often experience a remarkable decrease in pain related to arthritis. Until recent years, it was theorized that a lessened impact upon the joints was the reason that a weight loss program appeared to help patients with arthritis pain. It was believed that a diet high in fat would automatically lead to the weight gain and the corresponding extra force on the joints that can exacerbate the pain of arthritis. In the recent studies, it appears that the fat in a diet may not play a very significant part, but this is as yet uncertain. In animal studies, mice with an extremely high fat diet did not always exhibit a higher chance of arthritis. It appears, however, that the use of a low fat diet as part of a weight loss program can indeed have the ultimate result of helping with arthritis pain management. Because a diet low in fat is helpful in reducing excess pounds, this type of weight management program will often reap rewards for arthritis sufferers in terms of lowered pain levels.